InstaCasino – Tour de Insta / Day 5! Enjoy up to 200 RealSpins! No need to endure the gruesome stages of the original “Tour de France” as InstaCasino’s own “Tour de Insta” will reward players while they are sitting on their comfortable couches. Each and every day of the tour, except on the official rest days, players can look forward to an awesome offer for Free Spins or Bonuses. 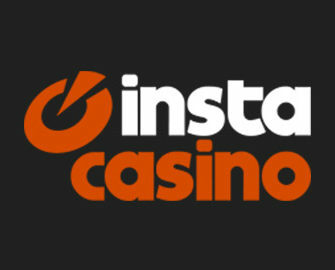 And at InstaCasino Free Spins are RealSpins, which means nothing less than the winnings from them being hard cash, no wagering requirements. Today, players can earn up to 200 RealSpins on the mad Spiñata Grande™ slot from Netent. Follow the stages of the “Tour de Insta 2017” and claim 21 different offers during July. Divided into Individual Time Trial, Flat, Hilly and Mountain Stages, the campaign will run until 23rd July 2017 with a daily offer for RealSpins and Bonuses. Simply visit the promotion page every day to discover the current offer. Question remains now whether you will wear the “orange” shirt at the end? Deposits made via Skrill and Neteller will not qualify. Accrued free spins will be added on Thursday. There is no wagering requirement on winnings from RealSpins.